la saisie de texte, Présentation, le Tableur et lecteur de PDF tout en un! L'offre gratuite du jour pour WPS Office 2016 était valable le 19 septembre 2016! WPS Office est une solution bureautique complète qui comprend la saisie de texte, Présentation, le Tableur et lecteur de PDF. Entièrement compatible avec Microsoft Office, CNET et PCWorld l'appellent "Meilleure alternative à Microsoft office." WPS Office a été installé plus de 1,2 milliards de fois dans le monde entier à travers le bureau et les appareils mobiles. This may be a disappointment to those of you who are wondering but unfortunately you cannot use macros with this version as to do so requires VBA which is only provided with the PRO version. Off Subject: I am currently using a beta PRO version licensed until Jan and although I have MS Office 2013 I have found WPS spreadsheets perfectly compatible with Excel and can do anything I used to do with Excel. 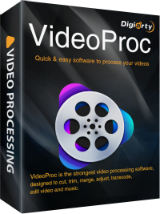 Consequently, I am strongly minded to buy the PRO version on expiry of my license. "The personal basic version is free to use. A watermark was placed on all printed output after a 30-day trial; this was removed in version 2016." With no offense intended to Anyone, many people have made personal observations over the years that Chinese companies excel at copying the designs of others, e.g. the the video conversion software that someone(s) always comments looks like every other brand. 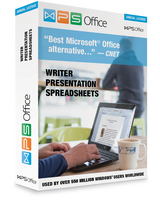 WPS Office looks similar to Microsoft Office, which *may* be its greatest selling point -- being familiar to folks with experience using MS Office, but at Much less cost. Other major alternatives to MS Office like the open source Libre, or Softmaker [Ashampoo] Office, or WordPerfect do things their way, though WordPerfect I think has an MS Office mode to make things easier for those used to the Microsoft software. If you look at the available stats on who still uses XP, you'll see China prominently on that list. Chinese software *usually* has lower hardware requirements, a smaller footprint in Windows, & offers good to great backwards compatibility, not using stuff only found in the newest Windows versions. Following that trend, WPS Office is the lightest weight of the major office suite alternatives, though there is a fully portable version of Libre Office available at portableapps[.]com. The 800 lb. gorilla in the room is of course the subscription based Microsoft Office 365... Microsoft offers a host of online or cloud based features & services that no one company has matched, & particularly if you want to use iOS or Android devices for this sort of thing, you *may* be better off looking for lowest priced deals on Office 365 key cards on Amazon & eBay. Note: some comments refer to Open Office... development has slowed [a Lot], & there's talk of ending the project -- anyone using it is encouraged to look at Libre Office instead. Libre Office is a fork of Open Office, meaning a bunch of the folks working on Open Office decided to take the then current Open Office code base & go their own way for future development. If you really don't like the look and feel of the new WPS 2016 you can always switch UI to 2013 Elegant Black,2013 Water Blue or....Classic Style(reminds me of Office 2003),my favorite UI. If you really don't like the look and feel of the new WPS 2016 you can always switch UI to 2013 Elegant Black,2013 Water Blue or....Classic Style(reminds me of Office 2003),my favorite UI. Take care. OK, free for one year - and then, what? Will I have to pay to keep using it? Will it stop working or downgrade to a free version?